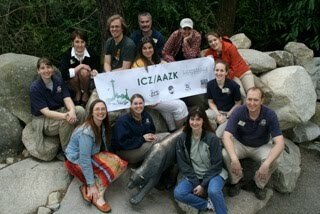 This Earth Day, help us raise money for the Puget Sound Chapter of the American Association of Zoo Keepers (PS-AAZK) by joining us at our annual book sale. Browse the selection of new and used books at the zoo on Thursday, April 22, from 11:00 a.m. to 4:00 p.m. Proceeds from your purchases will go to assist our PS-AAZK keepers with conservation projects and continuing education so they can better serve our animals! The book sale will take place in the zoo’s ARC building, located next to the West Entrance, near Zoomazium. Hope to see you there and thanks for your support! Photo by Peter S. Miller.